As usual Google never disappoints! :D Happy Halloween people! 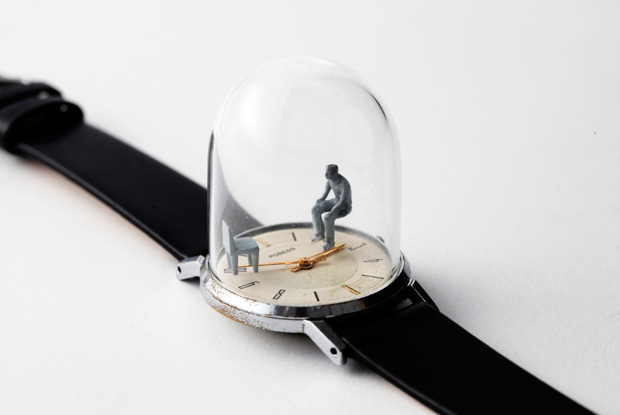 Artist Dominic Wilcox’s series of miniature time-based sculptures add yet another fun dimension to what would normally be considered the mundane. His series of seven sculptures, features tiny, hand-crafted figures attached to the watch hands. 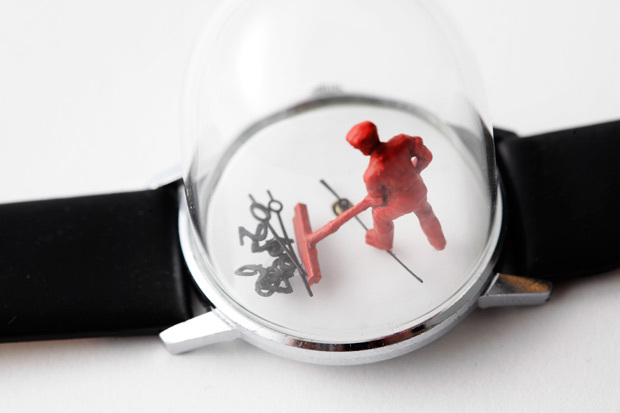 The scenes on the watch hands come to life in their movement around the dial.